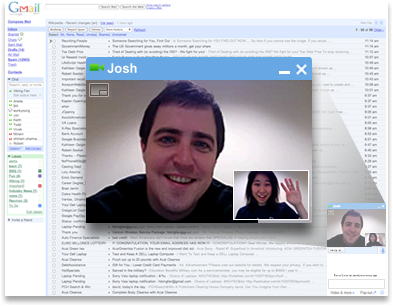 video chat is nice application by GMail through you easily communicate with your friends.but in past GMail video chat is supported only in xp but now its support Linux and Intel mac too. now in industry area's Linux is in use mostly because it is open source and totally free and its also secure.so its a good news for them who using Linux. it's a simple to use just go http://www.google.com/chat/video and save file .its in i386.deb format if you using Linux.now just go to "video and more"option given below your chat window and select start video chat.if you want to enlarge video chatting just click on icon. see more about video chat in below video.